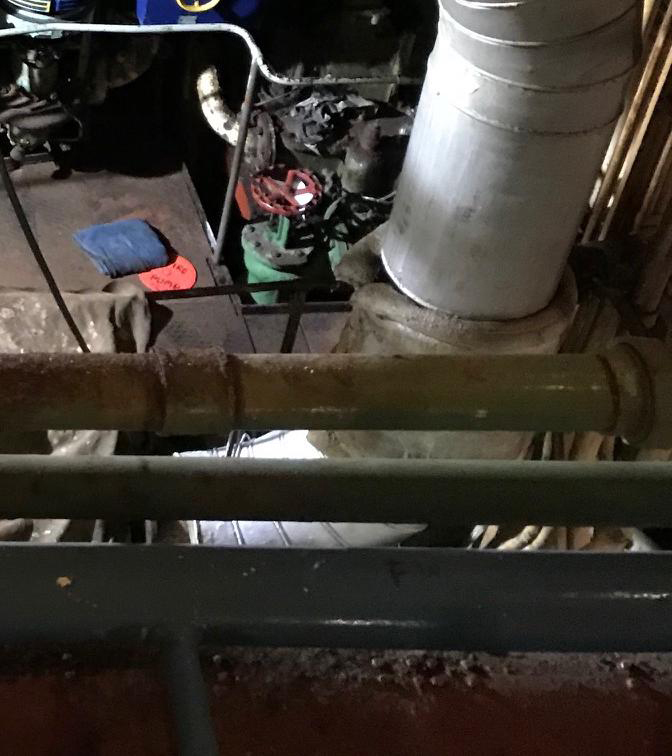 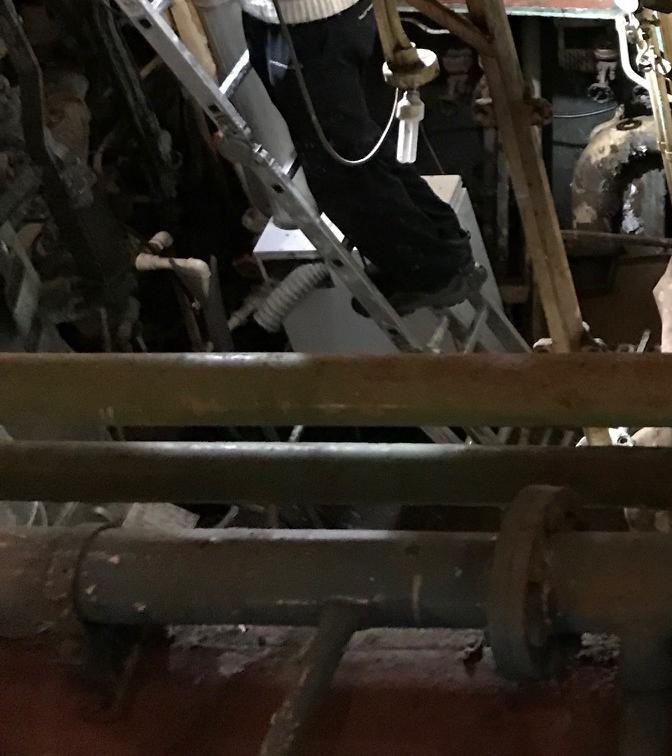 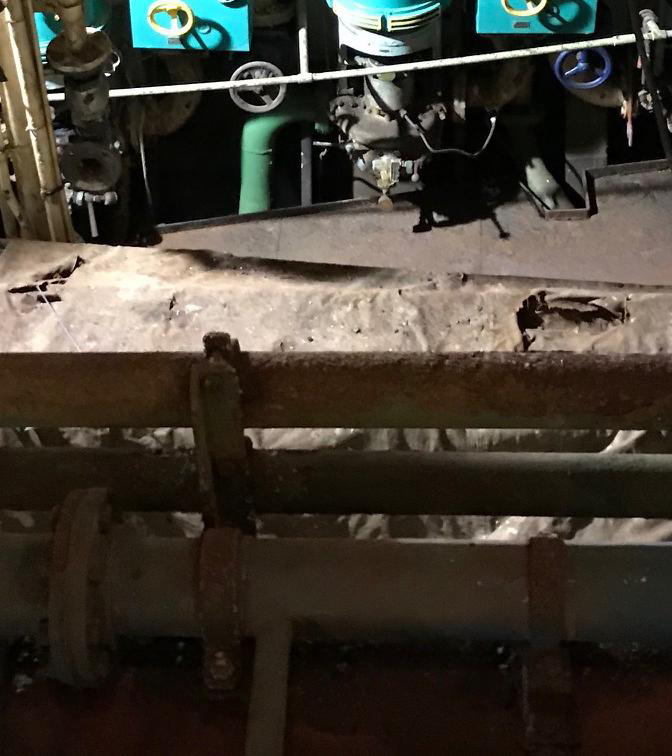 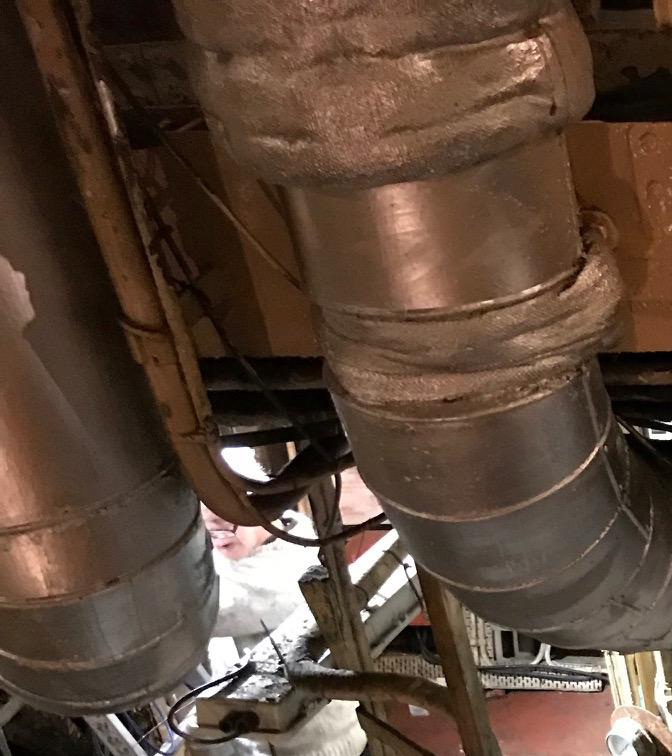 For those that have ever visited the Ross Revenge and walked the upper gantry in the Engine Room you will know all too well that whilst the view of Werkspoor engine cant be faulted, getting a good view of the lower levels of the room is hampered by dimly illuminated incandescent DC lighting. 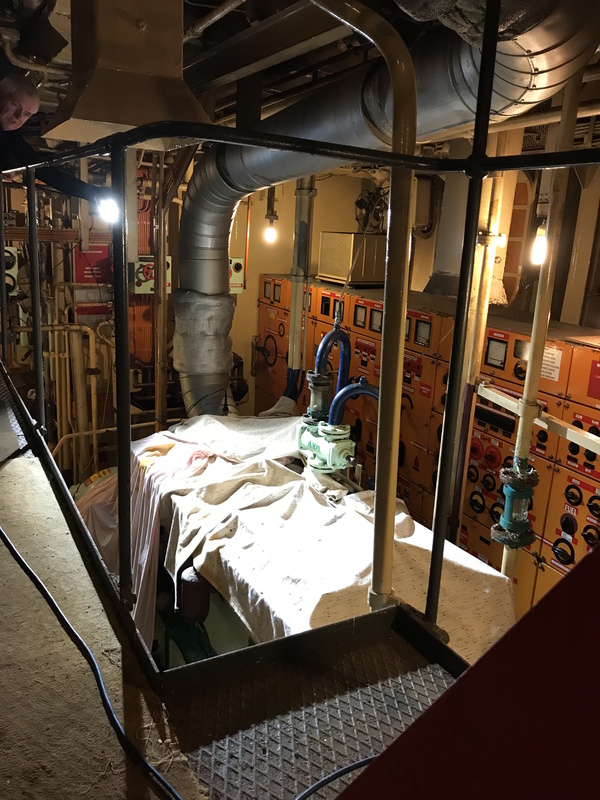 Assisted by lighting manufacturer Ansell Lighting, various light fittings were chosen, that it was felt would both compliment the existing DC lighting, whilst at the same time allowing visitors a much better view of the lower levels. 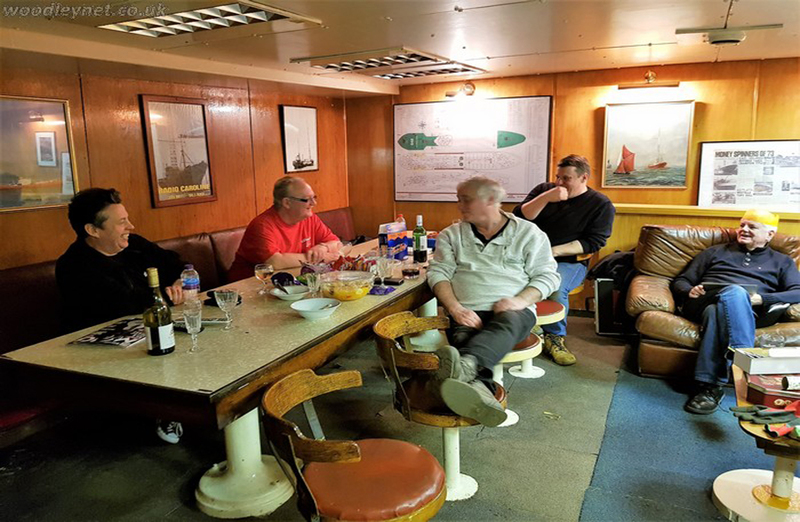 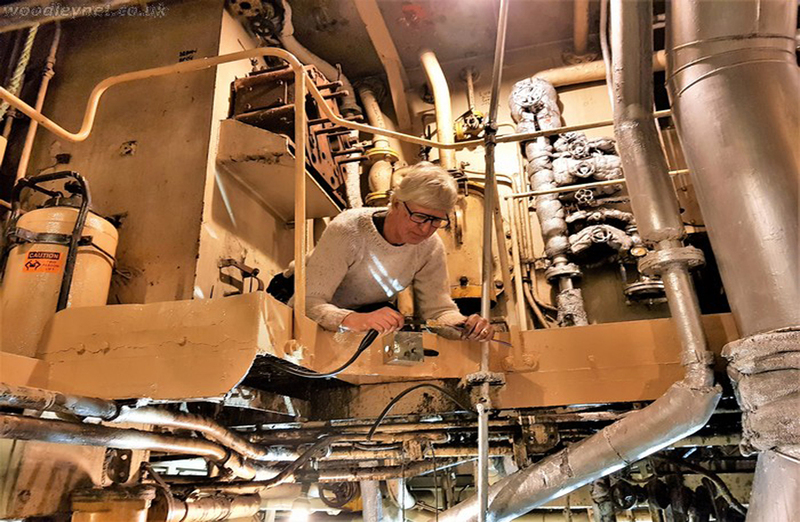 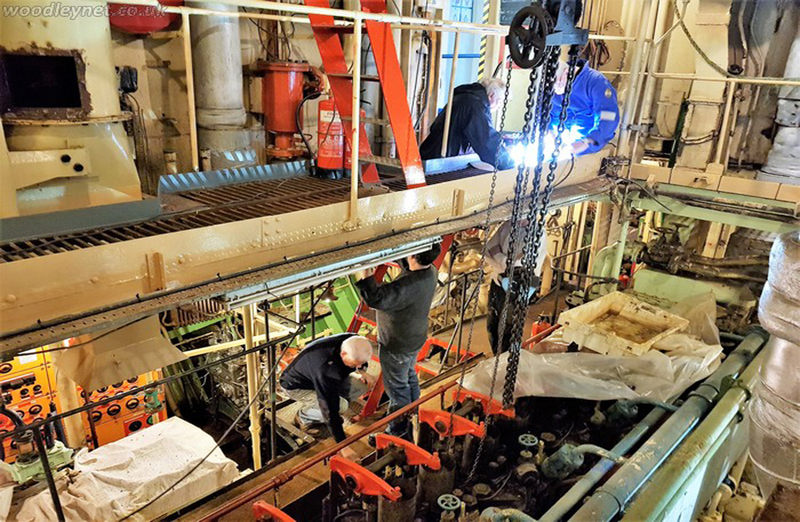 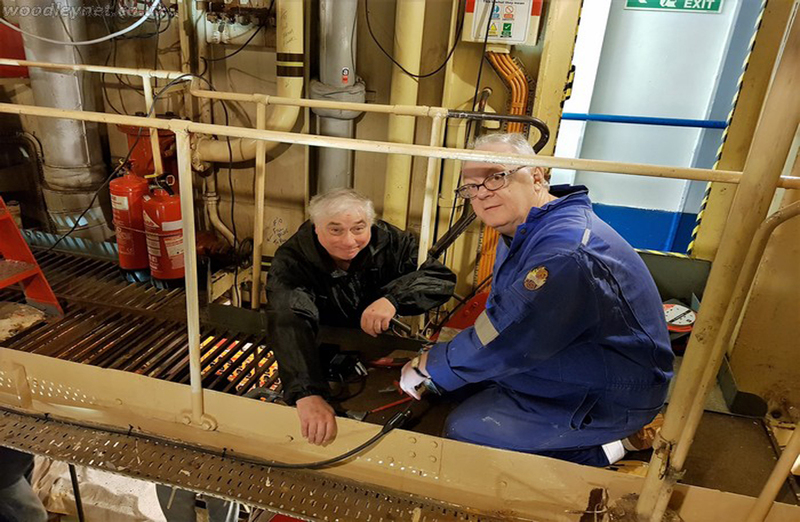 The first task was to choose just two light fittings out of the samples provided by Ansell Lighting and position them at key points around the Engine Room to see what would work best. 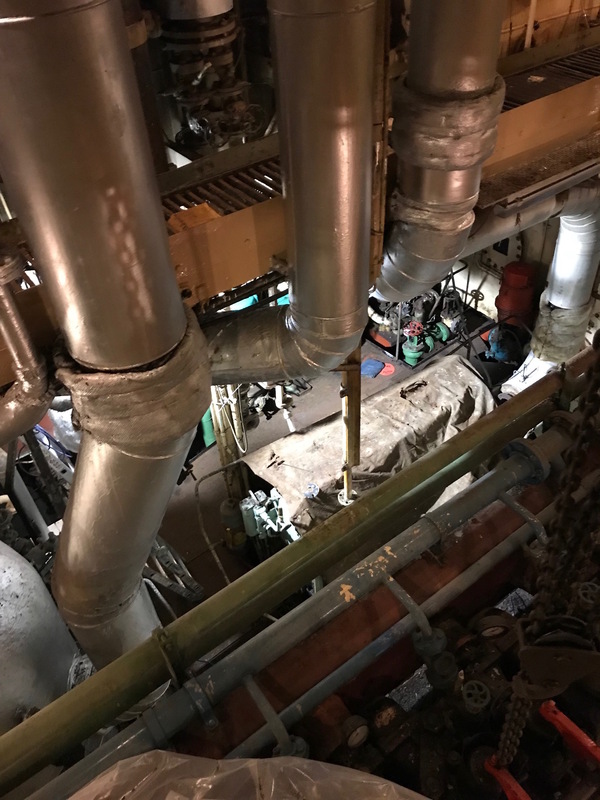 From a vistor viewpoint the Deutz can now be seen in much more clearly. 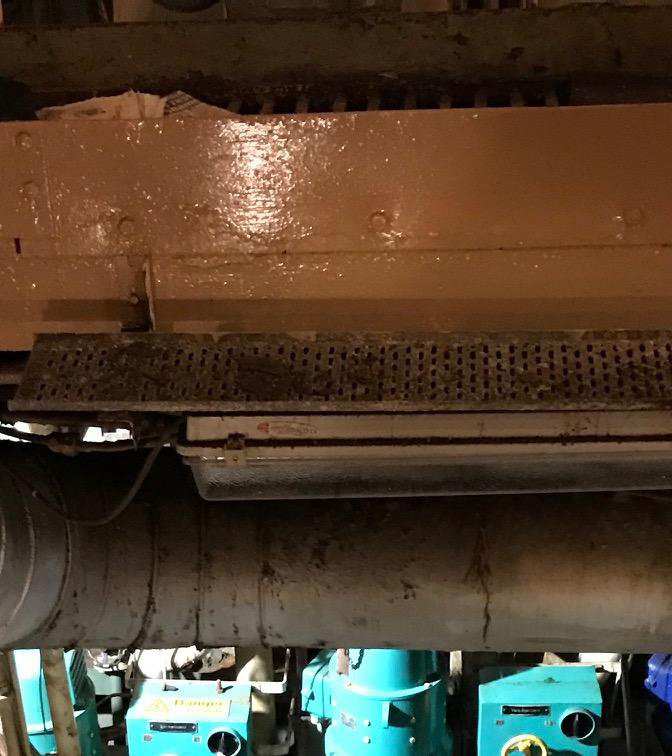 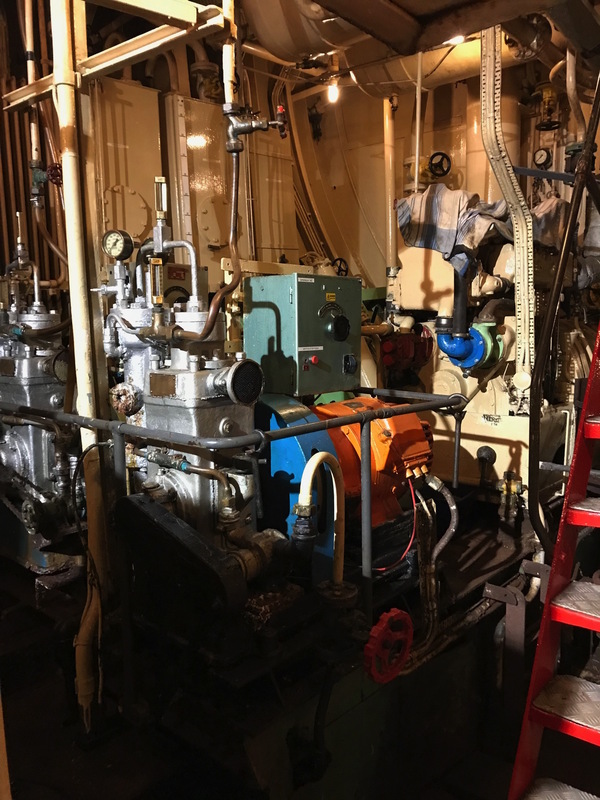 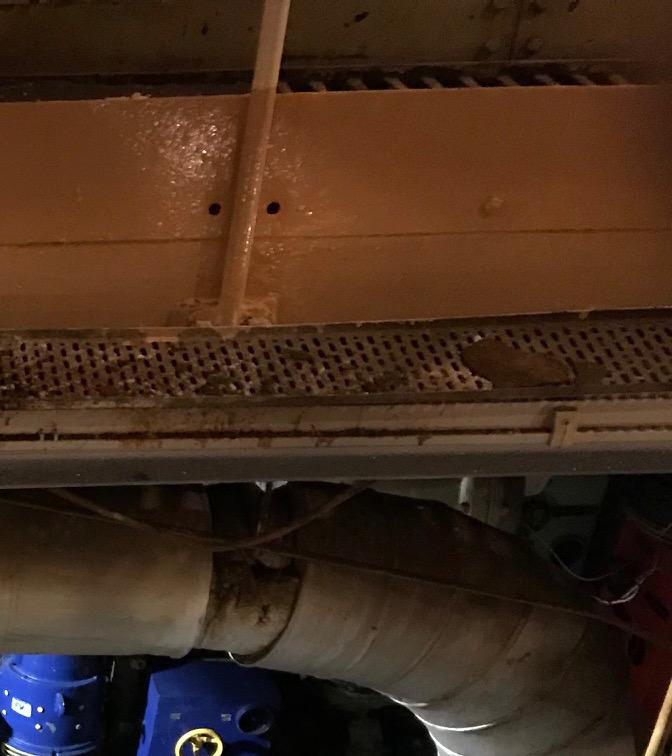 The same excercise carried out again using an Ansell 20w spot light, but this time on the Starboard MWM Generator and Compressors .... again, with the same great results. 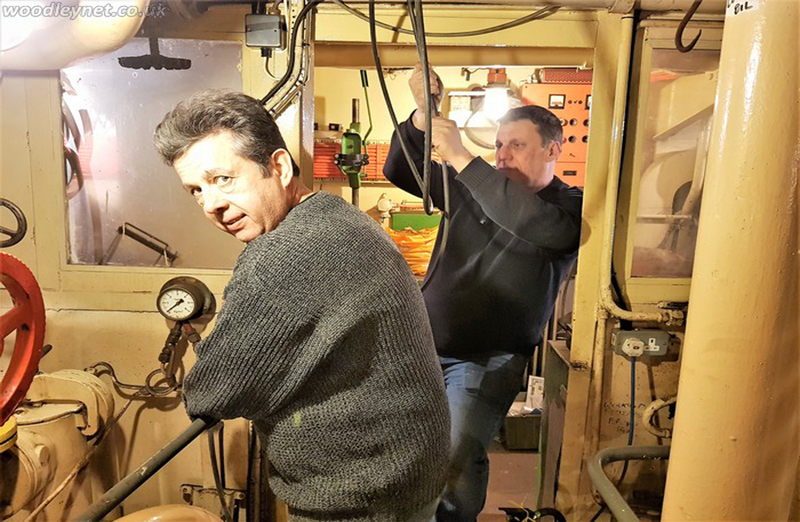 One of the more challenging areas to illuminate was the lower level port side of the Engine Room. 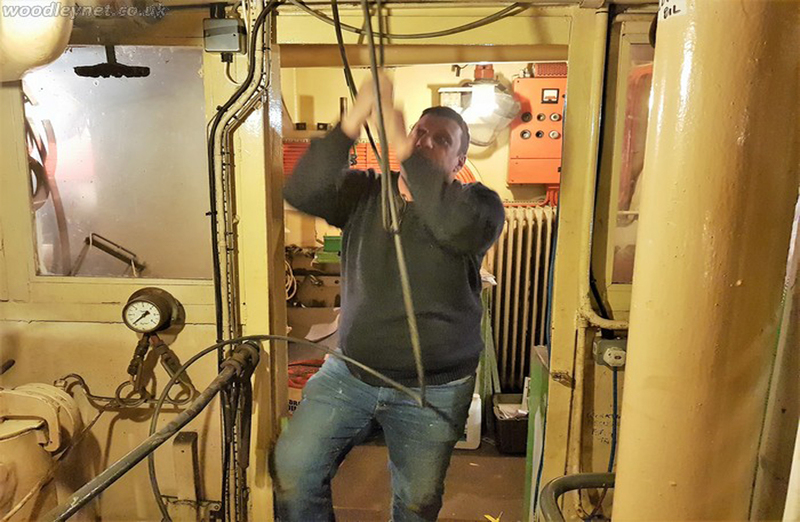 And for this we switched to an Ansell 50w LED flood light. 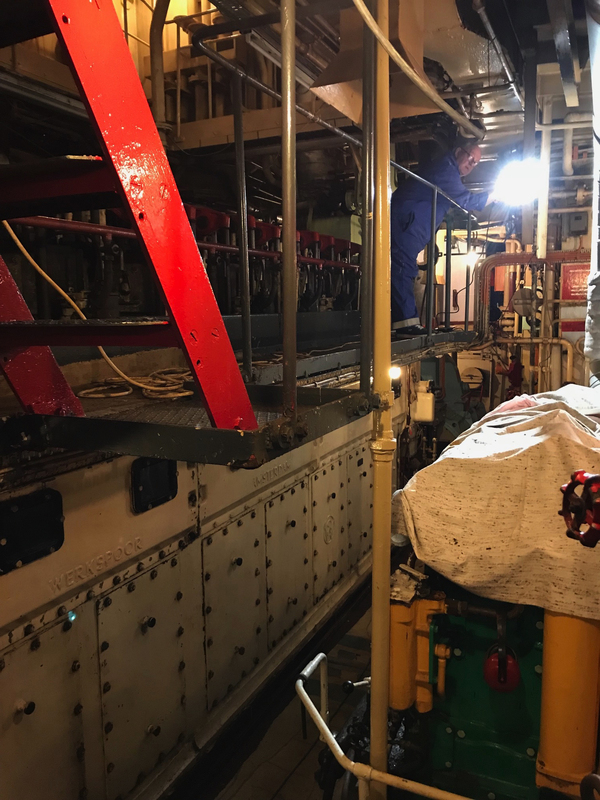 David Noakes spent time positioning the flood light at high level to try and get the best results - and as you can see from the view from the upper gantry, the view is now far better than it was previously.